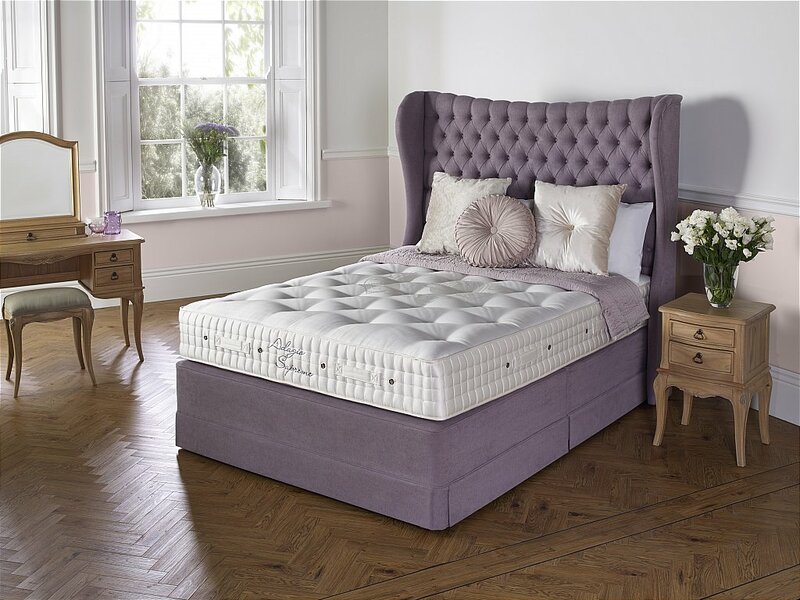 This luxury no turn mattress features a ReActive 8 pocket spring system. Each ReActive spring has 8 active turns - independently and actively sensing your shape and weight distribution, providing comfort and support exactly where you and your partner need it. Choose a medium or firmer comfort level. Upholstered with layers of Camel Wool, Alpaca, Latex and Wool and covered with the finest wool-infused Belgian Damask to provide an exquisite, soft and silky sleep surface. -Choose an upholstered headboard to crown the bed. I would like more information about Adagio Supreme Mattress by Hypnos.